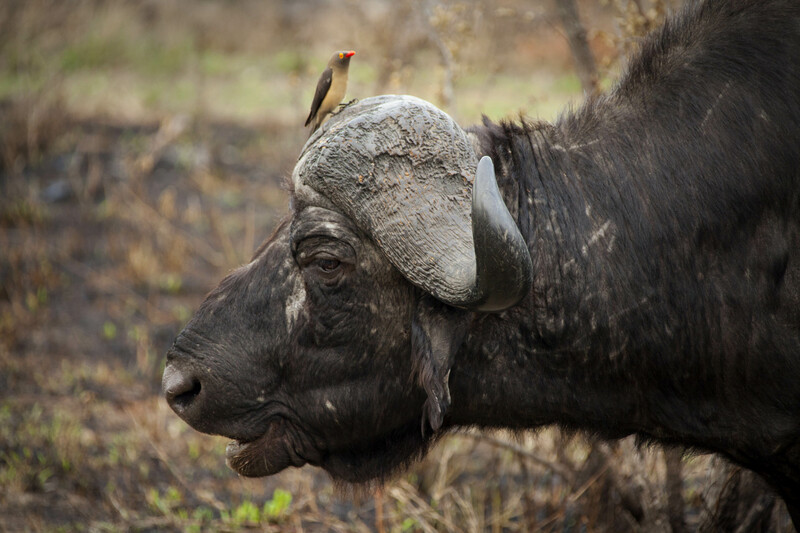 A Red-billed Oxpecker hitches a ride on a willing Water Buffalo. The Oxpecker lives in a symbiotic relationship with the Water Buffalo. It eats the bugs off the back of the large beast for food. The Water Buffalo benefits from a good cleaning. A Red-billed Oxpecker eats bugs off the top of the Water Buffalo.